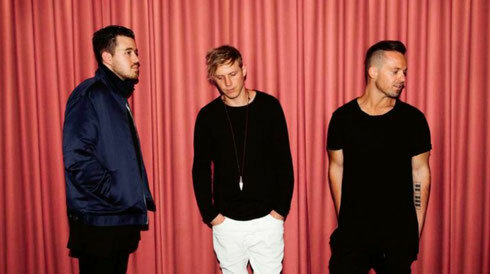 After apparently selling out two shows at London’s Heaven in less than 10 minutes earlier this year, Australian electronic live act, RÜFÜS, return to the UK for a show at Electric Brixton on Friday 7 October 2016. The Sydney-based group consisting of Tyrone Lindqvist, Jon George and James Hunt have a growing UK fan base and support on radio from Annie Mac, Pete Tong and Danny Howard. The trio’s sophomore album ‘Bloom’ released via Columbia Records in January went straight to #1 in the ARIA charts while picking up collection of Hype Machine No.1’s and numerous accolades along the way. RÜFÜS apparently bring an intense energy and thrill to their live show, which has allowed the band to sell out a world tour of 37 shows across 11 countries including a performance at Coachella. Two years after their platinum selling debut album, RÜFÜS returned with follow up record, ‘Bloom’, and as the title would suggest, the band have blossomed in the way that their debut LP ‘Atlas’ hinted at. Written between Sydney and Berlin, ‘Bloom’ picked up right where ‘Atlas’ left off; it’s vocals, moody synths and driving kicks. There is maturity in Jon, James and Tyrone’s production work that comes from spending two years on the road testing new songs. RÜFÜS: “We were writing feelings more than songs. We were ready to cut a lot of the parts or elements to make sure there was this sense of exercising restraint; you don't want everything to sound big. If something goes down to almost nothing it makes the high points sound 20 times higher. And if you over-think something it can kill the spark sometimes." Hello it's me, I am also visiting this site regularly, this web site is in fact nice and the people are really sharing fastidious thoughts. What's up, yeah this post is actually good and I have learned lot of things from it concerning blogging. thanks.